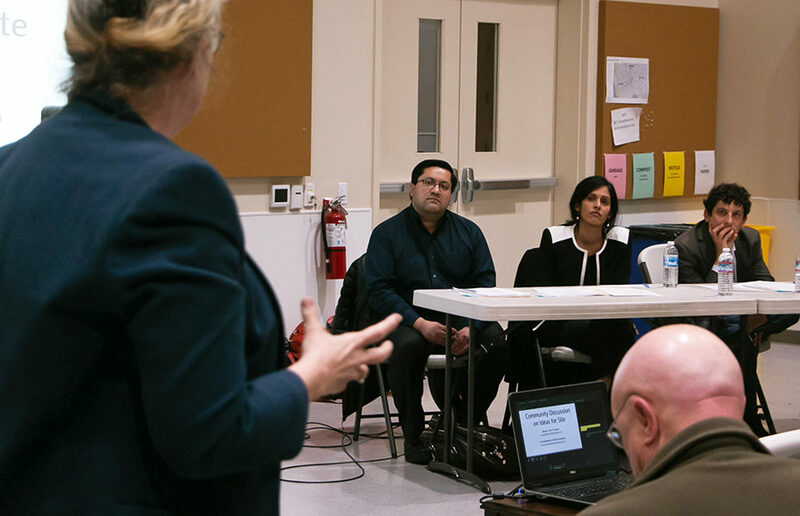 In an effort to gain public input on the future of the the Pacific Steel Casting site, Mayor Jesse Arreguín and District 1 Councilmember Rashi Kesarwani hosted a community meeting Tuesday evening, discussing the property’s sale, potential rezoning and environmental remediation. Richard Hill, the attorney for PSC, told Berkeleyside that the company agreed to pay about 50 percent of what it owed in unpaid health and pension benefits to employees after settling a lawsuit with its pension fund in November, neglecting to pay in full because of dwindling funds. According to attorneys representing both parties participating in negotiations, PSC is claiming it cannot afford to pay the estimated $1 million in severance and is reportedly attempting to negotiate the payments with the union representing the workers of Pacific Steel, CMTA-Glass, Molders, Pottery, Plastics and Allied Workers Local 164B. Resolutions to support local workers unions, a proposal to increase safety at San Pablo Park and the provision of mobile showers for homeless individuals are some of the items on the agenda for Tuesday’s regular Berkeley City Council meeting. Pacific Steel Casting, a family-owned company based in Berkeley and one of the largest steel foundries in North America, is set to close permanently Dec. 17.